4/15- Our next movie is being formally announced!! 3/29- I will be presenting at this conference. There is a stellar lineup of great speakers. This event will sellout, limited space. 12/27- Several months ago two supporters of my work decided to take on the editors of my Wikipedia page about the dishonesty associated with their post. It highlighted an individual that supposedly had credentials (non public). He attacked my work, data, facts and generally tried to discredit me. If you watched his presentation, it was blatantly obvious he hadn't read the books and was shooting from the hip. My supporters got the Wikipedia page changed for one week, then it reverted back. They tried again and were thwarted by Wikipedia editors, not because their facts were incorrect or that their position couldn't be supported, just because. Wikipedia is not the wholesome organization I always thought it was, quite the contrary. 10/18/18- As many of you already know, Mr. Paulides' first published books (Publisher- Hancock House) were about Bigfoot, The Hoopa Project, and Tribal Bigfoot. He was approached by two wealthy Silicon Valley executives and told that they each had encounters with the biped when they were younger. They knew Mr. Paulides was retiring from his technology job and asked him to investigate the topic and they would pay for the research. They told him that they wanted to know if the issue was a hoax or if it was a reality. There is much more to the story, but Mr. Paulides eventually agreed to an arrangement where he spent two years in the field interviewing witnesses, scientists and going to the areas where sightings had been alleged. 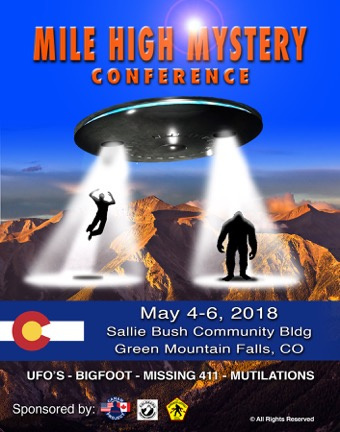 At the end of 24 months researching the biped, Mr. Paulides authored two books, The Hoopa Project and Tribal Bigfoot, two of the highest rated bigfoot books of all time. There were a series of investigative practices Paulides brought to the research arena. First, he required every witness to sign an affidavit swearing under penalty of perjury of what they observed, or the sighting would not be investigated (First used by John Green decades earlier). He also contracted the services of an FBI trained forensic artist to draw what the witnesses had seen. Neither of these research techniques was in use by any Bigfoot organization at the time, and none have been utilized since. It has been nine years since Mr. Paulides has authored a book about Bigfoot. It was during the nine years of doing an archival search on missing people; he started to observe articles in newspapers that described a biped we know as Bigfoot. The archives he was searching were sometimes 300 years old. He was astounded to read stories about a biped that had a continuous presence in newspapers starting in the early 1700's. It was at the point that the articles were seen regularly that he began to accumulate them and place them in a folder. It was earlier this year that he started to put the stories in chronological order. It was also during the archive searches he found stories about the discovery of graves and mounds that were unearthed and giant skeletons were found. Many of these skeletons were near the biped sightings. 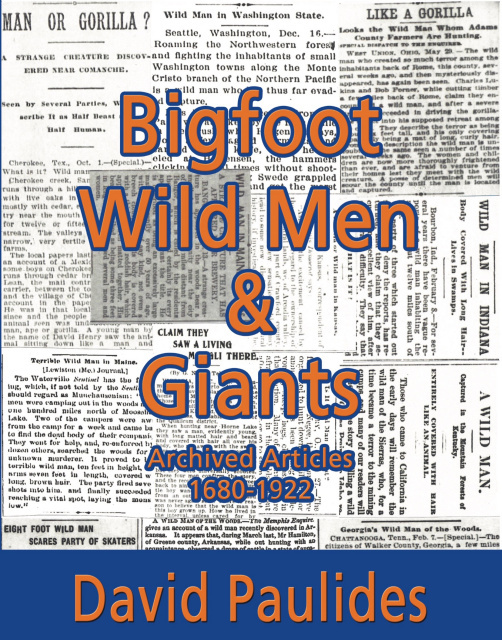 The stories containing giant skeletons and hairy bipeds were placed in a book and released today, Bigfoot Wildmen and Giants. This book has no relevance to the research on missing people and is something of interest that is being presented to the public. The Smear- Definition: Damage the reputation of someone by false accusations, slander. I don't read the significant percentage of items on social media that are written about me or my books. The majority of the posts are inaccurate, the writer has not read the books and are working off other like-minded posts. It's very similar to a majority of the public forming an opinion just off of news headlines. 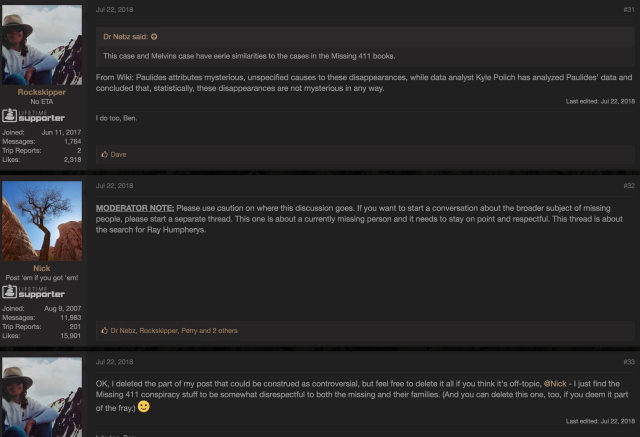 Two weeks ago I had someone send me posts about the disappearance of Ray Humphreys. Ray was a 66-year old avid outdoorsman, father of two grown daughters and a physical education for thirty years in the Granite School District in Utah, last teaching in Lehi. For ten straight years, Ray went with family to a remote spot in the Uinta Mountains called Hidden Lake. It's a beautiful spot surrounded by high mountains and big trees. The group decided to put their campsite on the far eastern end of the lake. Ray and family arrived at the lake on July 18, 2018. They built a fire, had dinner and enjoyed the outdoors. It came time to go to sleep and Ray knew that someone needed to put out the fire and ensure the embers didn't fly around the dry forest. He put on a headlamp, grabbed a collapsible water contained and walked to the lake to fill the container, it was 10 p.m.
Ray never returned. His family hiked out of the area on July 19 and notified authorities. Search and Rescue Teams arrived quickly. They placed multiple canine teams in the area along with 350 ground searchers. Canines never picked up his scent. The effort to locate Ray was predominantly in the area east of the lake because they had the water/lake as the border to the west. It was the general opinion that he must've got turned around and either walked past the camp or walked the wrong direction to the lake. At 3 p.m. on July 24, 2018, a Utah DPS helicopter team was working an area outside the primary search area and in the opposite direction when they saw a body. It was on the western side of the Weber River, meaning Ray had to cross it. The sheriff stated that he suffered injuries consistent with the brutal terrain but refused to report what those injuries were. They say they did not know the cause of death, and as of this writing, nothing has been made available to the public. FYI, in my latest book I wrote about the disappearance of Melvin Heaps, 74- years old, lost in the same area, never found. I have purposely tried to ignore this. 90% of what is listed is a lie. I cannot change what is on the page; it takes someone with editing authority who is not the person discussed on the page. Anyone can ask for editing authority. I have devoted the last eight years of my life to missing people, yet when you read the Wikipedia, I'm a cryptozoologist. I have never called myself this, I have never been called this. The page is designed to do one thing, present a biased view of my background, filled with an angle to get families of missing people to view me as a crazy bigfooter. A few factual errors, I spent twenty years as a police officer, I'm not a cryptozoologist, how about discussing my work on missing people and statistics? Please note how Kyle Polich is listed predominantly as an expert who analyzes my work. 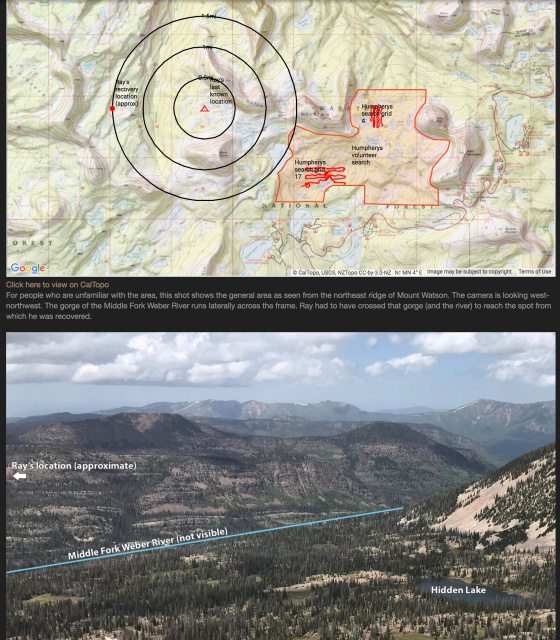 It is that post that influences people in the Backcountry link to disregard my research, and this should be very discomforting to anyone who understands Missing 411. Anyone who knows the Missing 411 topic moderately well will understand that Kyle never read the books and made some catastrophic errors in his analysis. Remember, it is this lecture by Kyle that was placed on Wikipedia that influenced others related to Ray's disappearance. How many other times has this happened? How many others have seen the Wikipedia page and believed what it is purporting? I cannot tell you how heartbroken I am that people have taken it upon themselves to SMEAR me and my work to the point that people related to Search and Rescue are unwilling to acknowledge the importance. Even more discouraging is the conversation I attached where people claim I am disrespectful with the "Missing 411 conspiracy stuff." Friends, I have never proposed a theory, my books contain facts, this is not related to a conspiracy. I'm really at an emotional and research roadblock. What good is research if it's been manipulated to keep it out of the hands of people who need it? The former Chief Investigative Journalist for CBS News, Sharyl Attkisson wrote the book, Smear. She explained how society in the United States is manipulated about how they view certain things by a group of organizations that are hired by political groups to push an agenda. She stated that they employ a strategy of posting something on a site that is viewed to the public as credible, maybe a major magazine, news network (Wikipedia), that is phase one. People read this, and it is viewed as credible based on the site it's posted. Step two is utilizing an expert to discount the position of the opposing view (Kyle Polich-expert). They then work the experts view onto the site that is considered to be credible, sound familiar? The SMEAR is complete. If anyone knows someone with editing authority on Wikipedia, I'd hope they would see the complete lack of honesty and the manipulative angle someone is taking and change it. It's tough to imagine why Kyle Polich did what he accomplished, or if he understands the ramification of his mistakes. Please think about this as if it was you. Jackie Irwin I think you've been the subject/victim of a disinformation campaign, and for a long time now...which of course means you're onto something dangerous. George Knapp's comment on the most recent Coast is telling also. Hope Wikipedia gets a proper edit. Be safe! Jeff Kantoff Wikipedia slanders those that don’t fit a narrative. I have all your books and read all of the books. If there’s one thing anyone can say about your books, it’s consistency. No wavering. No BS. Just facts presented. Bradley A Hunt Duly read. Aside from never being able to prevent uninformed or threatened individuals from disparaging your work, I would propose a campaign to inundate Wikipedia with complaints and demands to correct their representation of you and your work. Can someone please provide the correct recipient editor and let’s all demand a correction. I have read your books and followed your interviews extensively. I believe because of your work there has been lives saved. I applause you and your team for the painstaking effort of your research. I cannot imagine why these people have chosen this path to discredit you. Believe me there are numerous people that support you. Keep up the work and take heart. John W. Castle David, you are one of the most objective investigators out there and I want people to know that you have never claimed to have an answer as to who or what was behind the mystery. Keep the faith and keep up the good work my friend ! Lynn Harrington What is the motivation? To distract, deny, deflect? Why are people making up crap about David? Makes me wonder. Kirsten Biltoft Don't give up David ... this massive antagonism means you are on to something big ... and despite some SAR may listen to the smear, then others do not ... and sometimes it just takes a small handful of very dedicated truthers to get the ball rolling which at some point will reach critical mass ... and the whole scenario will turn in your favour and in favour of the truth of the facts you present ... just stay the course no matter what ... people ARE waking up. Cryptozoologist in any interview I have heard. You have never mentioned Big foot in any of your 411 interviews. In fact I remember one interview, where the interviewer tried to talk about both and you ended the interview. It is a shame how people try to discredit you. Michael Anthony Ebinger Most of what is on wikipedia is not believable. It's turned into a left wing repository of trash. With people that know you, know that you present no conclusions. Just fact. Your work is detailed and impeccable. The trolls are professional hit job artists and propaganda experts. Truth always wins in the end. Betty Pope Cowell We stand with you David! Your books are factual and never assume you know what is happening. You are a credible source for facts about all these cases. And no one seems to care. I don’t get it. Jeffrey Kinch Unfortunately we live in a world that hates truth and logic , in a sane world Wikipedia wouldn't exist. There is a reason college's do not except it as a legitimate source for research! I am sorry this keeps happening to you , I will keep you in my prayers! Brenda Church Weaver I got the impression that Kyle Polich himself was the one who went onto Wikipedia and wrote himself into that page on you - so he could be perceived as an equal to you, a peer commenting on a colleague's work. That page is poorly done, as are many Wikipedia pages. David Paulides anyone breaking new ground in the way you have done is going to get criticized, it's human nature and par for the course. No, they don't see the quality of your work, and yes they are trying to discredit something they scarcely understand. Your work will stand the test of time, forget these stumbling-block wanna-bee. Steven Greiner People who post this garbage about David Paulides is, in part, what is wrong with popular websites. Too easy to use a "free" medium to push a false agenda. I have the highest respect for David Paulides. His work is very credible and his motive to help people, especially the family members of these missing people, is amazing. Our world would be a much better place with more people driven as David is. Melissa Kriger I will do whatever I can to help put a kibosh on these shills. Absolutely pathetic and nauseating at how low these enigmatic “detractors” go. Keep your mind on the facts, and keep us all updated on anything we can do to support you. This world needs you, and I know we all appreciate your honor and great personal sacrifice you continue to make for these missing persons and their families. Jackie Brill Sands Those of us who have followed your work for so many years, regard you in the highest esteem as a researcher of impeccable integrity. There are obviously factions at work (still) who will go to great lengths to keep the truth hidden. Wm Casimir Sr. I HAVE READ ALL OF HIS BOOKS (David Paulides') AND NEVER HAS HE MADE ANY REFERENCE TO WHAT HE THINKS IS GOING ON --- ONLY THAT SOMETHING IS GOING ON...AND NEEDS TO BE FOUND OUT. ONLY FACTS...THATS ALL FOLKS, DESPITE WHAT WAS WRITTEN BY WIKIPEDIA. Author David Paulides has released his eighth book in the Missing 411 series. This is a major spoke in the investigative wheel. 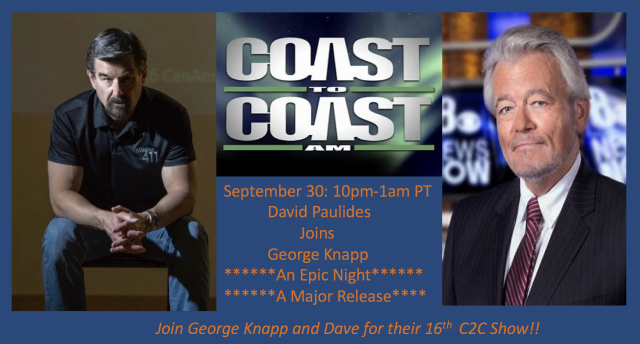 David will discuss his book on September 30 on Coast to Coast Radio with George Knapp. 9/16- There are some big things on the horizon in the next two months. The first involves one of the best investigative journalists and interviewers in the world, George Knapp. During the last several months, I have received many emails asking me how I developed a series of widely weird viewpoints, how I came to a particular opinion, etc. The one commonality to all of the inquiries, I never made any of the statements they were asking about. I have stated many times that people have posted sites, YouTubes, Facebook, Twitter, etc, under my name and Missing 411, all unrelated to me and posted without my approval or participation. This is ain an effort to deceive you. If you have fallen victim to the described scams and have been led to believe some of these outrageous claims, please complain to the company hosting the site. It would take me tens of thousands of dollars to litigate each of these violations, something we do not have. You have a voice; please complain and stress the confusion over the illegal use of the names. Finally, DO NOT believe online statements about me, my work or people who I associate. The VAST majority of what appears online about Missing 411 and myself is blatantly false. Be your own judge, go to the library and read the books. If your library does not have them, ask for a library transfer and loan. Why is there an orchestrated attack on our integrity? I have been a constant advocate for accountability in the National Park Service, Bureau of Land Management, United States Forest Service and the Department of Interior. In total, these organizations have tens of thousands of employees and management, many of whom are irate over what I have discovered and publicised. The best way to stifle progressive and honest research is to attack the integrity of the author. Readers of my work understand I am a proponent of FACTS. Longtime readers understand the importance of what our work has revealed. I appreciate your support and words of encouragement. Please be an informed citizen, go to the library and read our work. 6/20- During the last three years a number of individuals have used the name "David Paulides" and Missing 411, illegally and fraudulently. We only have one You Tube site, the CanAm Missing Project, nothing else. Many people who do not know us believe we are associated with these sites because our names are being used. Please spread the word that all of these sites DO NOT have our permission to use our names, images or recordings. People have developed opinions about us based on these sites and our supposed relationship, it's is very unfortunate. 3/12-Statement about Researchers/Authors and Journalists: In recent weeks, I have had readers ask me about other researchers and authors who are making claims about working with federal agents. I know quite a bit about this. My former police partner went on to become a special agent in charge inside the FBI for a huge region of the U.S. The FBI, CIA and NSA can request any of their agents and analysts to take a polygraph test if they are under suspicion of breaking any rule or law, including releasing confidential case information without formal approval. They also routinely screen agents under certain circumstances every 5 years. As an example, if a journalist makes a statement that an agent told them something specific about an ongoing investigation, the bureau will hear of this and it is a guarantee that every agent on that case will get polygraphed. They do have a right to refuse, but think about that. If they refuse, it is a guarantee they will be under a cloud of suspicion and will be extensively investigated while they get a receptionist job in the front office. Any chance of promotion at that point is out the window. The agency aggressively investigates their own and will eventually either clear, terminate or prosecute the agent under suspicion, https://www.huffingtonpost.com/entry/fbi-polygraphs-countermeasures_us_57ffe22ce4b0162c043ae621. Other agents that are brought under the cloud of suspicion hate agents that put them in that position. So, any claim by someone stating they are getting information from an agent, I’d be asking allot of questions. I cannot see any agent risking a great career to flap their gums to some no name author or researcher. The vast majority of credible journalists would never out an informant like that, especially when you link them to a specific investigation, it is too easy for the bureau to identify them. If a journalist has an informant that makes an outrageous claim, that journalist risks their own credibility and integrity unless they can prove the claim before releasing it to the public. 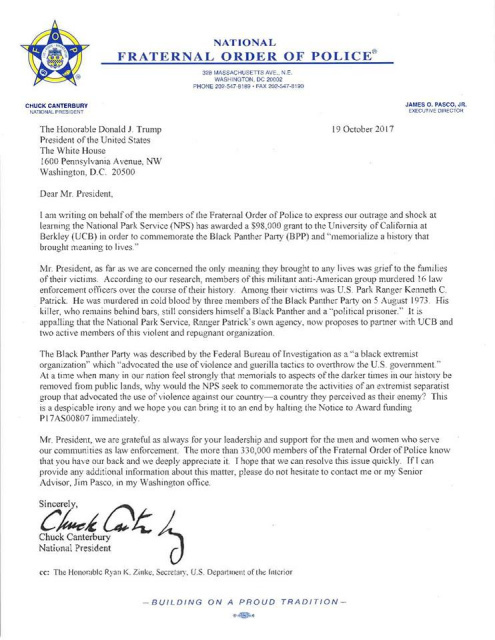 As an example, the park rangers that gave me the information about people missing in national parks, I never publicly said anything for almost two years until I had hard proof that something unusual was occurring, that was with the release of Missing 411 Western and Eastern United States. If someone is releasing these claims without proof, ask yourself why. Is it to support their own hypothesis, to sell a book, to make themselves look credible, to get press or to step over another researcher in the same space? Always question the intention. Judge authors and investigators on the quality of their research, not on the most outrageous and unsubstantiated claim that each can make to try to get headlines. Lastly, a few of the authors working in this space have made the decision to not use their real name and to publish under fictitious names, sometimes several names. You need to do your own research and ask these people, if they can't tell the truth about their own identity, how can you believe their unsubstantiated claims? Be safe!! 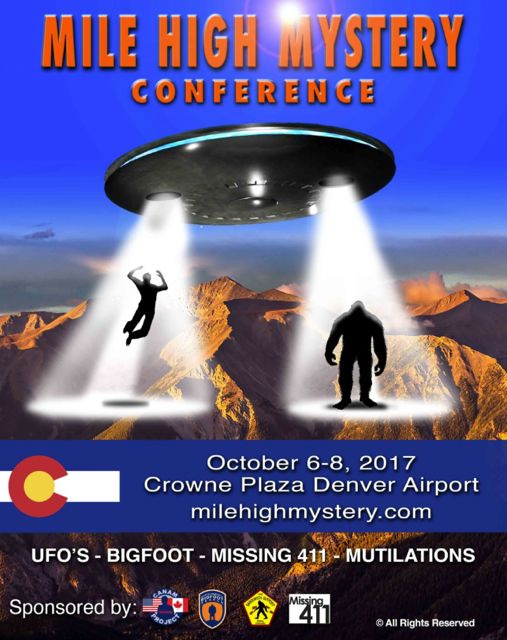 2/20- A new list of appearances by David Paulides at several big conferences has gone up. 5/1- Missing 411- the movie is finally up for sale. The movie will ship immediately. We have a limited number of copies available in DVD and Blu Ray formats. Order now to guarantee delivery. 3/20- We are formally announcing the premier of Missing 411- The Movie. It will premier May 13 and individual sales of the movie will commence the following week. Keep checking here for details. 3/12- We encourage supporters to purchase the April 2017 edition of Outside Magazine. There is an extensive article about people who have gone missing in the wilderness with a large section dedicated to David Paulides' work. The article is not online. 11/28-When I first started writing the Missing 411 series, I saw an unusual involvement of the FBi. They were arriving on scenes unrequested that were outside their jurisdiction. Local news reports stated that they were just "Monitoring" the situation. They weren't just monitoring, they are GREAT at documenting the facts on these cases and sending their reports to FBI profilers. In Missing 411- Hunters, I wrote about a case of a hunter who was never found, this was a response from the missing mans wives after she was talked to by FBI agents, see attached. I've always had a small doubt that they may not know what is happening, not now. They understand they are investigating something very unusual. 10/21- It’s a busy day for SAR personnel. This case has been evolving over the past few months. There is really no clue where Mr. Balderas may be. Kings Canyon National Park is in the same general area of the Sierra’s as Sequoia and Yosemite National Park. This region is gorgeous and rough. Let’s hope they find Robert quickly, weather is changing in that are as winter slowly moves in. 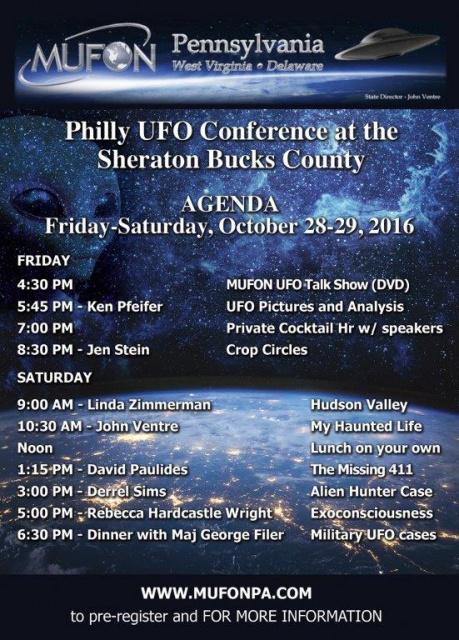 10/20- Join David Paulides at the Philadelphia MUFON Conference. David will be attending the cocktail reception Friday night and will be presenting Saturday after lunch. Organizers stated today that they expect the largest crowd in the history of this conference, see attached. • Was found by someone other then a SAR team member. 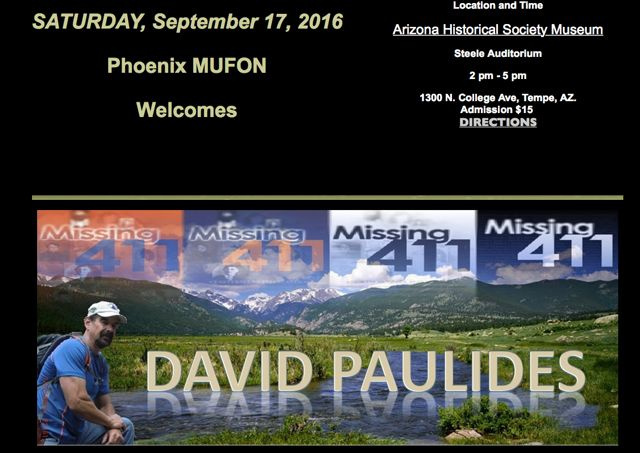 8/23- David Paulides will be presenting on Missing 411 in Tempe, AZ. 8/12- Joe Keller disappeared from southern Colorado while he was on a run with his friend on a dirt road. The friend stated that Joe vanished sometime on the run. There were several massive searches by canines, helicopters, planes and multiple ground teams. They found nothing. His remains were found this summer at the bottom of a cliff up a mountainside. This was posted on "The Find Joe Keller" Facebook page. Read it carefully. The elements of the disappearance still haunt the family and these are the exact same factors described in the "Missing 411" books. Our prayers are with Joes friends and relatives. Yes, the DNA tests confirmed that Joe was found in the Conejos Canyon, Colorado on July 6th 2016, but that and where he was found is all we KNOW. We do not know for certain WHAT happened. The place Joe was found is not a place where someone would go running. Everything else about how and why he got there is just speculation and theories. All the "reconstructions" are guesses at best. Some make us feel better than others. The truth is we really do not know what happened to Joe. We DO know where he was found and that he was not alive. He was found at the base of a cliff, not on a ledge, 2.5 miles as the crow flies from the start of his run from RainbowTrout Ranch. Everything else is just a guess. We have discussed it with investigators, detectives, searchers and others and still there is nothing more than speculation. We do not know why the tracking dogs never tracked Joe's scent on the second day after he went missing having sniffed scent articles which were Joe's. If Joe ran to the top of the canyon, his scent should have been easy to track. We do not know why the infrared heat seeking plane (which could spot anything including clothing apparently) did not spot Joe's red shorts. We also do not know why nothing was seen by the helicopter we hired or by the small plane which volunteered and searched the area and the cliffs day after day in the beginning. A big "Thank You" to that pilot for doing that. Our own searchers could not find him, though not through lack of trying. None of this means that we are not grateful to everyone who helped search for Joe. We are very grateful for any help we received. Now we are left with a Great loss and a void which will never be filled this side of heaven and questions which may never by answered this side of heaven. We DO know that Joe is with The Lord because he was saved. This is a great comfort to know and we know because of God's promise of eternal life to All who believe in Him and His son, Jesus Christ and put their faith in Him, that we will see Joe again one day and what a Grand Day that will be! 8/11-Riley Zickel disappeared 7/28/16 from the area surrounding Mt. Jefferson in OR. There are several cases from this region and the Three Sisters Wilderness (Just South) of individuals that disappeared and were never found and documented in the Missing 411 books. The act of leaving an area where your son has vanished is devastating to everyone parent. It signifies that the search is over. I have great compassion for Riley's relatives. 8/6- One of the more unusual cases we've reviewed in years involves the disappearance of Jack Thomas from the Sawtooth Wilderness. It is the only case we are aware of where someone activated his SAT beacon and GPS location. The public and private search found nothing. He was a very experienced hiker!! 7/28- Today is probably the biggest day of our organizations life. We are doing a HUGE rollout of products and videos. 7/16- I have always been someone who has attempted to under promise and over delivered. I try to meet the goals and objectives that we annually put on our calendar. The end of this month constitutes several milestones that we will meet. 2. We will be delivering the official movie trailer for Missing 411- The Movie later this week. This has taken months to finalize and develop an interesting tag that will grab the general public. I think we have done it. This will NOT be delivered to the public by us, only to the film festivals and they have the right to either place it in front of the viewers or withhold it. 3. Missing 411- The Movie is sitting in a holding pattern at two film festivals. We won’t name the festivals until we hear if we have been accepted. The distribution on the movie has many unanswered variables. It is a guarantee that the people in the Kickstarter campaign that supported and purchased pledges to get the movie will get it. The question is when. Our goal in the movie is to get the biggest audience possible. This can be achieved through the film festivals and subsequent distribution. The majority of festivals require the film to premier there, or they won’t accept it. So, until a movie debuts at a festival, it cannot be distributed. The best guess is that the film will be available to the public near the beginning of 2017. Someone who is not on our production team but knows allot about films has viewed it and assisted us greatly. You will hear their thoughts about it late this month. 7/2-If readers need additional proof about the absolute incompetence (or secrecy) of the National Park Service, this article exposes it, again. The story is about the disappearance of Diana Zacharias at Grand Canyon National Park. Approximately 3/4 of the way through the article, the reporter asks the National Park Spokeswoman for the Grand Canyon about a list of missing people inside their park. Here is the quote, "The National Park Service does not have a database about the number of people who have disappeared in the Grand Canyon. "It is a huge area. About 5.5 million visitors. We can't keep track (of all disappearances)", explains the spokeswoman." In Missing 411- Western United States I first exposed the fact the park service refuses to disclose their list of missing people on their property. They have a large contingent of National Park Service Police officers and detectives they have classified as "Special Agents." They know the importance of keeping lists on missing people. This list needs to be placed on their website for public disclosure. They have proven they are good at maintaining lists, but they can't keep a list of people who disappear? In the words of investigative journalist George Knapp, "A complete lie." 6/30- Mark your calendar for October 28-29 in Philadelphia. David Paulides will be presenting. In Mr. Paulides' book, Missing 411- A Sobering Coincidence," he details the disappearance of over 100 young men who vanished in an urban setting (predominantly from bars) where they ended up deceased in water. This issue has accelerated in recent months and is happening in Columbus, OH, Boston, Chicago, New York, Manchester & Yorkshire UK. Police have to stop looking at this from a city perspective, it is an international issue. Chase Martens, 2 years, went missing from his rural farm west of Winnipeg on Tuesday afternoon. There have been hundreds searching for the last two days and nights. They have walked the fields shoulder to shoulder and cleared creeks and ponds. They are at a loss to say where the boy went. Here is a quote, “Chase has vanished without a trace,” Thomas Martens, Chase’s dad said." We need everyone to circulate this article and post it everywhere you can. I want this to reach possible volunteer searchers in ND, MN and Manitoba and I want them to get there this weekend. This family needs to know where their boy is. WE are consistently asked why we believe the National Park Service exhibits behavior of evasiveness and lack of transparency. We believe a group mimics the behavior of its leader. This article may go the distance in proving our point. This was placed February 29, 2016 on the website of , Public Employees for Environmental Responsibility. Jon Jarvis, the presidentially-appointed, Senate confirmed Director of the National Park Service, is an ethically-challenged individual who has been the worst NPS Director in living memory. In the latest demonstration that he thinks rules do not apply to him, the Inspector General uncovered a string of ethics violations in connection to a book about national parks that he authored. Ignored repeated warnings that he needed to obtain ethics approval for the book (which he avoided because he did not want it edited by Interior officials). Oh by the way, the subject of his book is … ethics. Pompously titled “Guidebook to American Values and Our National Parks,” it has only “sold” 228 copies –not counting the 50 or so Jarvis has sent to staff and friends. So, his “publisher” is out several thousand dollars for his powerful patron’s vanity project. So what was Jarvis’ punishment? He got a written reprimand and was relieved of supervisory responsibility over the NPS ethics program. By contrast, if he were an NPS whistleblower he would almost surely face removal. In case after case where serious misconduct was personally reported to Jarvis, he took no action until the issues were publicly exposed. Today, Jarvis is flying around the country in corporate jets to drum up a billion-dollar private endowment to help finance NPS Centennial celebrations. This incessant fundraising, like his book, is not particularly effective but certainly is tawdry. America’s proverbial “Best Idea” should not be “co-branded” with breweries or bartered away in sleazy corporate “partnerships”. In its centennial year, the Park Service direly needs and deserves new leadership. Help PEER remain an active park guardian. 1/25-It is beyond my moral compass to understand how some people can treat the families who have lost a loved one. This article exemplifies the horrific way Joe Keller's family has been treated. Something needs to be done!! Here is a three-month update on missing person cases that appear to match our profile. It is a bit early to make the claim on a few cases, but they are included. We are awaiting autopsy results on these events. Susan was vacationing with her family and went for a walk at their resort during a foggy and raining afternoon. She disappeared. There was an extensive search utilizing helicopters, dive teams, marine units, mountain rescue teams and canines. The search did not produce any relevant facts. On Saturday, August 15, a volunteer searcher found Susan’s body. An August 19, 2015 article on WPXI’s website stated the following, “They say her body was found just feet off the trail officers searched just weeks ago. They want to know why and how police missed her body.” There is no ruling on the cause of death or details about her clothing, etc. Morgan was an English major at the University of Wyoming and had a summer job as a tour guide for white water trips on the Colorado River. He was an outstanding swimmer and competent guide. Morgan’s group of boats pulled the group to the side of the river at a regular stop where they take guests up a side creek. Guests take a short walk to a pool where they jump off boulders into the water. The group was walking back to the boats along the small creek, Morgan was wearing his life preserver and was last in line when he disappeared. There was an extensive search by the National Park Service, nothing was found of Morgan or his equipment. An employee that worked at the same guide company that Morgan worked contacted me. He explained that the other guides on this trip are completely baffled. The area he disappeared had a small creek with cliff walls on both sides. He stated that it didn’t seem possible that Morgan could disappear as he did. Sukhjeet was with a group of friends walking a large well-known trail from their vehicle at the parking lot to Lindeman Lake. He stated he wanted to run ahead and meet them at the lake. When the friends arrived at the lake, he was not there. The Chilliwack Search and Rescue group was notified along with RCMP. An autopsy showed that Sukhjeet died of blunt head trauma. It was the belief of some that he fell and hit his head. How did he end up in a boulder field? Where did he fall from? This incident matches other cases involving a boulder field. Not FoundLaw enforcement officials believe that Wayne was camping somewhere in the area of Wasatch County near the Sleepy Hollow Trailhead. They found his pickup truck at that location. An extensive search couldn’t produce Wayne or his equipment. Wayne has emphysema. Deorr was camping with his mom, dad, grandparents and a family friend. His parents went for a short walk thinking that their son was being watched by the grandparents. When they returned, the boy was gone. According to statements made by the Lemhi County sheriff, the family members have been cleared of any criminal involvement. There was a massive search for the boy without finding any evidence of him in the area. Weather did hinder search efforts as it was raining in the days immediately after the disappearance. I was contacted by a retired USFS employee who lived in the area and kept me updated on the events. They stated that the local newspaper had almost nothing about this event, which the area population thought was strange. The FBI came into the investigation two weeks after Deorr vanished. If you have been reading my “Missing 411” books, the arrival of the FBI seems to coincide with profile points I’ve identified in my books. There has been nothing new on this event in over a month. The area that Deorr vanished is very, very remote with a rough dirt road. As is stated in this article, it’s almost ridiculous to believe that a human perpetrator drove this single lane road into this region and took Deorr. He hasn’t been found. Janet was vacationing with her parents in the Chiricahua National Monument under the authority of the National Park Service in southern Arizona. She was walking back from the restroom when she disappeared. A massive search produced nothing. Janet has severe disabilities and has the mental capacity of a 5 year old. She also has impaired eyesight. As is normal, law enforcement has turned to criminal abduction as a possibility. They were in a remote area when this lady vanished. This is in a geographical cluster zone we have identified. This also occurred in the same area where a national park ranger vanished and was never found. This is the only NPS ranger that vanished and was never located. In my books I have repeatedly shown that victims are often found in an area that had been searched dozens of times, sometimes more. I have also described how many of the victims have some type of disability. Omarion Humphreys was autistic. He went to Lake Callis with his foster family on July 4. He was last seen playing when he disappeared. The sheriff searched an area around the park and the lake. Two different county sheriff dive teams from two different jurisdictions searched the lake multiple, multiple times. They each used side-scanning sonar and found nothing. It is important to note that this is a fairly new man made lake with a smooth bottom. The park was closed during the search effort. Six days after Omarion vanished, the lake and park were reopened and his body was found in the lake by swimmers. The sheriff had no clue how his teams missed the body. Parents believe that Omarion was abducted and dumped in the lake. An initial cause of death stated that Omarion drowned. The final autopsy result has not been made public. Joe was with a family friend traveling across the U.S. He met his parents at Rainbow Trout Lodge in southern CO. This area is very, very remote with no cell or internet connections. At 4:30p.m. on July 23, Joe and his friend went on their usual afternoon run along a dirt road leading away from the lodge. Joe was last in line when he vanished. His friend went back to the lodge and the search started. SAR teams from throughout CO, TN and NM assisted. They didn’t find any evidence of where Joe may have went. The culmination of many of these events is that law enforcement and family start to think abduction. This is normal and it did happen in this case. The FBI arrived and did consult with law enforcement authorities. Just 25 air miles from where Joe vanished is the disappearance of another young man that I chronicled in my books. He was walking his dog in a forest area when he vanished and was never found. Joe was a very athletic person. Any idea he would just by chance go off the dirt road and start running through the woods seems not worthy of consideration. There was no evidence of an animal attack. Remember, this is a very, very remote area. The absurd idea that a car is driving around this area looking to abduct someone, alone, no witnesses, also seem unlikely…. Found- DeceasedJerold was with his mom and other relatives camping in an area north of the Grand Canyon. In the afternoon on August 6, he was chasing butterflies with his mom behind him when he disappeared. He didn’t respond to calls and a ground search couldn’t locate the boy. There was rainy weather the night after he disappeared. There was a massive formal search by canines and Air Force helicopters with FLIR, they could not locate him. Five days after he vanished, a volunteer searcher was 3.9 air miles from the point he was last seen driving down a dirt road and saw his body 15-20 feet the road. An autopsy report stated he died from exposure the first night. Jerrold wasn’t found by canines or helicopters with FLIR. He was found 3.9 air miles from the point last seen, meaning he didn’t walk just 3.9 miles. I have read estimates that he walked as much as 10 miles. This is far outside the bounds of all SAR grid guidelines. Is it coincidence that Jerold disappeared in such close proximity to Morgan Heimer? This is the third case in Arizona this summer matching our profile. During my thirty plus years of investigating and researching criminal and civil issues, there are those times that will never be forgotten. Whether the issue was a young victim, a shaken family member or the loss of a personal friend, moments stick with you forever. The interview of Dennis Martin’s father, Bill Martin that I did with Scott Carpenter is one of those life moments. I had traveled to Knoxville to meet with Scott and develop a strategy for contacting retired National Park Ranger Dwight McCarter and to discuss approaching Dennis Martins dad. The interview of Dwight was the easy decision, the meeting with Bill Martin was the toughest of decisions. Our research showed that the Martin family had been deceived and outright lied to by the FBI, National Park Service and various reporters. They had concealed facts and tried to keep Bill Martin in the dark on many issues, but Bill was persistent. He stayed on the mountain for weeks where his child disappeared. When most searchers and volunteers had left, Bill couldn’t. He continued to politely push authorities for answers. He even hiked the mountains with Dwight McCarter trying to make sense of lies told to him by authorities. Imagine you lost your six-year old boy in the mountains and you turn to authorities for direction and assistance and you soon learn they aren’t telling the truth, they don’t want you asking questions and they appear to directly deceive. At the one moment in life when we need the governments help, you can’t trust them. Where would you turn, maybe the press? Bill soon learned that some of the reporters were mere mouthpieces for NPS and the FBI. The frustration that this man must’ve felt is beyond comprehension. I won’t go into the specific details of Dennis’ disappearance, I covered that thoroughly in Missing 411-Eastern United States. I will tell you that I still get teary eyed writing about this incident. I knew that the Martin family had made a decision not to talk to the press about their son’s disappearance. There had been dozens of reporters over the years that had attempted to talk with the Martin family. All were politely rebuffed. This was one case that I had researched and at the time I knew more about it then probably anyone outside the Martin family. I knew for a fact that lies had been told. We had the evidence. To this day, there isn’t a television station or newspaper in the Knoxville area that will tell the true story of Dennis disappearance. I learned after years of interviewing people, sometimes it’s easier to drop by and ask for the interview then to pre-plan and have a set time and place. Scott and I went to the Martin house, knocked on the front door and Bill Martin answered. I can tell you with absolute certainty that he and his wife were still grieving, 43+ years after the disappearance. I explained who I was and asked for a few moments of his time. He was extremely polite and initially refused until I told him that I knew as much about his sons disappearance as probably anyone but him. He stepped onto the front porch and we started to talk. That front door conversation confirmed beyond a shadow of any doubt that the Martin family had been deceived, horrifically. Again, I won’t go into the specifics of that conversation, you can read about it, this is about something else. I remember that Scott and I thanked Bill immensely for taking the time with us and we plodded our way back to the car. I swear, I did everything possible to not start crying on their driveway. There is NO FAMILY on this Earth that deserves what the Martin’s suffered, NONE. To think that so many entities failed them is reprehensible. To say that I understand the grief that Mr. and Mrs. Martin carried with then their entire life wouldn’t be true, I can’t imagine. On October 14 this year, Bill Martin died. I didn’t hear about his death until mid November when I was again in Great Smoky Mountain National Park with Scott. I don’t like going to funerals, I wish I had gone to Bill’s. To Douglas, Sarah and Michael (Ed), you had a great dad who went the distance, asked the tough questions and we all pray is reunited with Dennis. 4/3- This is why we study history. In “Missing 411-North America and Beyond” I wrote about the May 2, 1944 disappearance of three-year old Ronald Boggs from his Portsmouth, OH rural home. He was playing in the yard with the family dog when he vanished. There were one thousand searchers that scoured the Ohio countryside for 33 hours. He was found far outside the grid, four miles away. Portsmouth sits on the Ohio River. **When you watch the attached video and the woman describes where Gage was found, notice there is a barbed wire fence surrounding her property. How did two-year old Gage get over that fence? ***2 Missing runner in a tight time frame, highly suspicious. Case #1 above. Case #2 below. David Paulides' meticulous research into the thousands of mysterious disappearances in U.S. national parks should be an object lesson on how the paranormal should be investigated. Paulides does what most paranormal researchers fail to do: First, he examines a phenomenon that is truly unique, without defaulting to the unofficial canon of New Age explanations for such, and second, his research is so thorough, objective, and vetted that it cannot be debunked. Many paranormal researchers try to explain one unknown with another unknown. Paulides does not do this. Others have speculated that the disappearances were caused by Bigfoot, or "aliens." Paulides refuses to go there. He seems to intuitively understand that when we are confronted by a mystery that has no logical, physical explanation, a phenomenon that seemingly originates outside of our known reality, one that defies physical laws, then any attempt to define or understand it will fail--we simply lack the conceptual vocabulary. Paulides has done a great service by bringing forth his Missing 411 books and showing the reluctance of the National Parks Service to come clean on the records of missing persons, and he shows the feds are more interested in covering their derriares than doing what's right. There seems to be a pattern here. 9/16-The readers of our books know that there is some connection between missing shoes and missing people. In an odd coincidence, we have been tracking eleven cases of feet found in shoes in the ocean waters of British Columbia. Shoes with feet inside have also been found in Crescent City and the latest, San Francisco, CA. 9/3- We received the below email from a reader of the eastern version. This is an especially compelling email because it's from an experienced climber and hiker, someone who knows the woods. We are posting here as we believe its something everyone should read!! Allow me to first provide some background. My name is Jesse Boyd; I am 37 years old; and I live in North Carolina on the edge of the mountains east of the Great Smokies. I am an experienced outdoorsman and mountaineer and have had the privilege of summiting nearly 500 peaks in a variety of locales around the world. I have spent a lot of time in the Andes, the Himalayas, and above the Arctic Circle, as well as in the Sierra Nevada, the Rockies, and the Southern Appalachians. With regard to the latter, there are 103 actual closed contours (i.e. “peaks”) that exceed 6,000 feet (as opposed to the 40 official “Southern Sixers”), and most of these summits are off or distant from established trails. I have summited 102 of these, mostly solo, and soon plan to slog out to Mr. Hardison deep in the Smokies to complete this quest. To my knowledge, although the Carolina Mountain Club recognizes, as of October 2008, 167 completers of the official Southern Sixer challenge (i.e. the 40 official summits), none have ever tagged all 103 closed contours (40 official peaks + 63 sub-peaks). In pursuing this goal, I have been forced to spend many hours over many miles bushwhacking off-trail in the thick underbrush of the Great Smoky Mountains National Park. Literally, I have walked all over that park, particularly east of Newfound Gap; and most of that time I have been alone. Time frames have also had me out slogging after dark on numerous occasions. A little more than a week ago, I saw Baldwin and Grubb's "Unsolved Disappearances in the Great Smoky Mountains" on a shelf in a visitor's center near Fontana Dam. Intrigued, I thumbed through it for a few minutes and made a mental note of the Martin, Gibson, and Melton cases, something I had never even heard about. Long story short, I returned home and did a little digging and came across your books. Immediately, I ordered the Eastern 411 text and devoured it less than two days after receiving it (I couldn't believe how fast I received it via media mail from NABS). Now, I find myself particularly intrigued by the Geoffrey Hague, Mark Hanson, and Brad Lavies cases. Back in November, while training for a summit attempt on Aconcagua (the highest mountain in South America and the highest mountain in the world outside the Himalayas), I did some slogging in the Great Smokies with a full backpack. Starting at the Alum Cave trailhead, I made it to the summit ridge of Mt. Leconte in less than 90 minutes and then bushwhacked nearly a mile out a ridge to tag West Point, an unofficial 6,000 ft. peak on the western end of the LeConte massif. This was some of the thickest and nastiest underbrush I have ever navigated, not to mention the knee-deep snow in places; and that night I commented to my father about how the venture was the worst of any of my Appalachian Sixer bushwhacks. During this particular slog, my GPS was acting strangely and I couldn't get a proper directional bearing. For this reason, I became a bit disoriented and found myself in the very area where Brad Lavies was found in 1993 above Rainbow Falls. I am simply baffled as to how that young man ended up in that area. The terrain is simply horrible, and I myself had to turn around and circumnavigate on several occasions just to find the the Rainbow Falls Trail because it was impossible to proceed in front of me. The Lavies case defies all logic in my mind. That same day, after bushwhacking to West Point, I slogged over Mt. Leconte and followed the Boulevard Trail all the way to the Appalachian Trail junction, the place where Geoffrey Hague disappeared in 1970. I arrived at this junction after dark without using my headlamp because of dying batteries. I walked the 3 miles back to Newfound Gap in the dark, the exact same route Hague's Boy Scout Troop took the day he went missing. I simply cannot understand how the boy lost his way. I anticipated trouble that night finding the AT in the dark and was surprised at how visible and discernible the trail junction actually appeared. I remarked later that night about how I wished all the junctions in the park were as obvious as the Boulevard/AT. Before reaching the AT and at dusk, I had ventured off the Boulevard Trail to summit Anakeesta Knob and another unnamed 5,000 foot peak. Again, it was horrible bushwhacking that left me scratched up. Both of these knobs were above the drainage where Hague's body was eventually found. There is simply no way or no reason why someone would leave the Boulevard Trail in that vicinity and drop down into that rugged drainage. As an experienced bushwhacker, I wouldn't have done it without serious concerns about how to get back out. If the boy were simply lost and on the wrong trail, it would have made far more sense for him to have continued on the Boulevard Trail out to Leconte or to have just turned around. One would really have to work to get into that drainage from where he went missing. Several times while out bagging Southern Sixers, I have spent the night in the Tricorner Knob shelter near where Mark Hanson disappeared in 1975. Again, I am baffled. The AT coming down from Mt. Guyot is a pleasant downhill and would have been easy to navigate, even in the snow. The foliage is extremely thick on both sides of the trail in that spot, and the terrain is steep up to the left and steep down to the right (if heading toward Tricorner). The only way to go is forward. There is no way Hanson lost his way and left that trail voluntarily. Several years ago, I bushwhacked in the very vicinity of where Hanson went off trail. I was trying to find an old Guyot summit trail that the NPS had decommissioned some years before, intrigued by how quickly the wilderness can overtake an unmaintained trail and erase any evidence of its former existence. I eventually found the true summit of Guyot but was badly scratched up by the thick balsam. It took an hour for me to walk half a mile back to the AT as I literally had to crawl on my hands and knees in places and cut down branches just to make a way to proceed. Again, I am baffled. I have spent many, many hours and miles off trail in the Great Smoky Mountains National Park in some of its remotest corners. Most of the time, I have been alone and out after dark. Never once have I encountered a problem or anything I would deem strange. In fact, the times I have been out near Tricorner Knob, I have never even seen a ranger or another hiker. There is no way a typical run-of-the-mill abductor would be up in that area looking for someone to prey upon when there is no guarantee anyone would be out there in the first place. How people like Hanson, Hague, and Davies go missing and are found in these areas, I will never understand. How little Dennis Martin or Trenny Gibson vanished without a trace, I will never understand. As for the scratches and cuts noted on the bodies of many people found in these cases, I do, however, understand. I can't help but recall how scratched up my arms and face have become after bushwhacking in the Southern Appalachians. Going off trail, or being carried off trail, in the thick balsam of these mountains will definitely do that to you. I look forward to soon obtaining and devouring your Western 411 book as well as the North America and Beyond text. The Crater Lake, Mt. Shasta, Yosemite, and Mt. Rainier cases are intriguing to me also because like the Smokies, I have spent a lot of time in these parks and have actually been in the vicinity of some of the places where folks have gone missing. I have tried slogging cross-country in deep fresh snow drifts in both Crater Lake and Yosemite, much like Charles McCullar would have had to do to get to the spot where his body was eventually found. I'm telling you it is impossible, even with snow shoes. Once, in the Sierra Nevada, a friend and I bailed on a long-planned climb of Mt. Lyell simply because we were post-holing in the snow up to our waist with snowshoes. It would have taken us days to get to the base of Yosemite’s Mt. Lyell in those conditions. Sorry to have rambled on so. Thank-you for your thorough research in these matters. No doubt, it was a monumental task. The Eastern 411 book was a great read, and I look forward to getting my hands on the others. I really appreciate how you refrained from drawing conclusions or making hypotheses as to the causes of these disappearances. You simply let the facts speak for themselves. On that note, I also enjoyed your interview with George Knapp of Coast to Coast AM. The information you have provided will definitely affect how I behave going forward in wilderness areas. No more camping overnight alone, and you better believe that my children will always be in my line of sight. Chills run up my spine when I think about how I, along with my two daughters (9 and 5 years old, both blonde hair), were hiking in the Great Balsams near the Smokies a couple of months ago. I found myself ahead of them on the trail about 100 feet as they came up slowly behind. We even did a little bushwhacking out to a couple sub-peaks of Richland Balsam; and at times, they were 20-50 feet behind me in thick rock-strewn areas. At the time, It didn't even cross my mind that there was any risk in this. How easily one of them could have disappeared just like little Dennis Martin. After reading your book, never again will they be out of my sight in the woods. Scary thoughts for a parent. 7/8-Join David Paulides as he is a guest on "Beyond the Edge Radio", June 14 8:30-10pm-Eastern Time and discusses "Missing 411." 7/6-The latest Book Review on Amazon.com of "Missing 411-Western United States." We feel this is important as it comes from emergency management personnel.